The list is organised by country, then organisation or venue and then year/date. 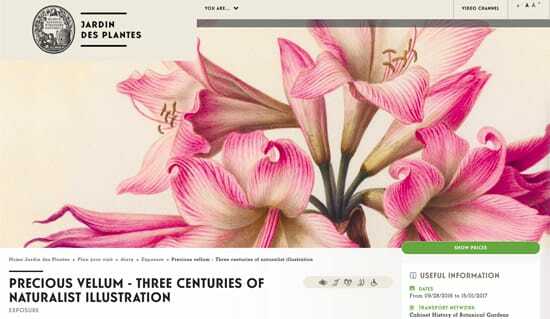 Germany, Ireland and Russia have their own individual ARCHIVE Page due to the number of botanical art exhibitions. As part of the Upper Austria Garden Festival, 30 images from the Highgrove Florilegium will be on display at the Museum der Stadt Bad Ischl. An exhibition of around 60 works of current work by 17 exhibitors who dealt thematically with endangered plants. It also addressed the historical dimension of botanical illustration in Vienna as well as surprising links to this art form in Australia. This was a special exhibition. For the first time since 1793, the Museum of Natural History displayed around 150 watercolours on vellum forming part of the 7,000+ illustrations of flowers and animals that make up the Collection des Velins (the collection of the Museum's drawings and paintings on vellum). The display was divided between two rooms - with more than 40 original vellum at one time. Items on display changed every month because of their fragility. Nearly 150 vellum were displayed during the three months of the exhibition. 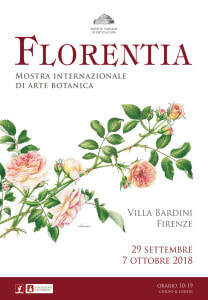 The first international exhibition of contemporary botanical art in Florence. showcasing c.80 original botanical watercolours by well known botanical artists coming from Italy and 11 different countries (Australia, Austria, Canada, France, Germany, Japan, South Korea, The Netherlands, Russia, United Kingdom, United States). ​All paintings are watercolours of botanical subjects and birds of Northern Italy by Mary Ann Scott, the author of Botanical Sketchbook. The exhibition was held at the same time as a major plant fair in Lucca - which is held along the ancient walls of the town. Exhibition: Native Plants of The Netherlands. ​An exhibition which looks forward to the 10th anniversary of the Dutch Society of Botanical Artists in 2016. This exhibition displays the botanical paintings and drawings of member artists alongside flower still lifes from the Museum's own collection. Information: Information email info@fruitteeltmuseum.nl or tel: 0113- 344 904 during business hours. An exhibition of botanical books from the 17th, 18th and 19th centuries, all from Teylers' Museum natural history library. This will include the very rare copy of Basilius Besler's "Hortus Eystettensis" - an early garden florilegium. Exhibition: "Arcimboldo, Floras and Spring,"
The exhibition includes the display of Rariorum aliquot stirpium, per Pannoniam by Charles L'Ecluse (aka Carolus Clusius) a Flemish doctor and pioneering botanist - loaned by the Real Jardin Botanico de Madrid. The book was published in Antwerp in 1583 with xylographic engravings. It's indicative of the new interest in botany and botanical gardens which arose during the Renaissance. the Museo Nacional de Artes Decorativas. It featured 87 paintings of different tulips by 47 SBA members. To coincide with the exhibition, the gardens of the Real Garden Botanico have been planted with 20,000 tulips! The path leading to the new exhibition centre was lined with large planters, each filled with all the varieties of tulips painted! 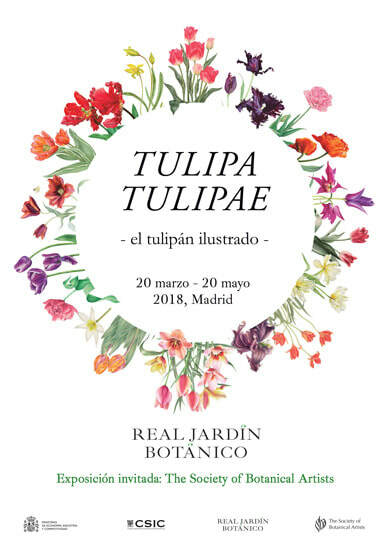 The exhibition catalogue includes a history of the tulip, using images from the RJBM archives, and will also cover the botanical and horticultural aspects of the plant.